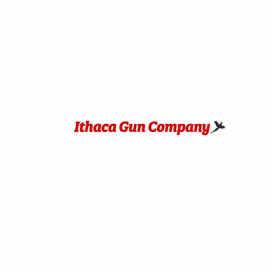 Ithaca Gun Company is the world’s premier manufacturer of bottom eject pump action shotguns, precision machined Model 1911 handguns, and the incredibly accurate rifled barrel DeerSlayer shotgun. Blending traditional American style and craftsmanship with contemporary computer aided manufacturing processes; Ithaca builds heirloom quality firearms to pass down from one generation to the next. Everything that goes into making an Ithaca is American sourced, from the steel used in receivers and barrels to the fine wood used for stocks and combs. The craftsmanship and pride that go into every firearm is a direct reflection of Ithaca’s dedicated employees with the final assembly achieved by true gunsmiths.